Looking to watch USC Football online? Here are all your legal live stream options, along with the USC Football TV schedule. Reliable nationwide coverage, large number of channels, and massive DVR. Cheap and customizable with access to PAC-12 Network and more. Data effective 9/13/2018. Offers and availability may vary by location and are subject to change. **For 24 months with a 2-year contract and eAutoPay. Start practicing your “V sign” because USC Football 2018 is here. With Helton leading the way to a Pac-12 championship last year, the Trojans are sure to have another great season. If you’re hoping to watch the Men of Troy take the Pac-12 again, read on to see how to watch USC Football 2018 from the comfort of your own home. After starting off the season with a bang against UNLV, games are already scheduled to appear on ESPN and FOX, with other games sure to appear on PAC-12 Network later on. With similar sports-channel lineups, it can be confusing finding the best way to cheer on Trojan football this fall. Don’t worry, though—we’ve spent hours scrutinizing each service out there to find the top three. DISH has been around awhile and there’s a reason why. Its packages offer plenty of channels and reliable, nationwide service. It also offers several bonuses that we think are worth it, but be prepared to pay for them. Check out your package options. Whether you live next door to the Coliseum or all the way across the nation, DISH offers the most dependable way to get the game. As a satellite service, dropped coverage is rare and there’s no pesky buffering. When it comes to clear coverage, satellite trounces streaming every time. DISH’s drawback is pretty obvious—the monthly price. You’re also locked into a two-year contract. Because the price is locked in for those two years, you should probably check your budget before signing up. Nevertheless, if you’re a value-focused fan, we suggest you also add DISH’s new DVR—the Hopper 3—to your package. Simply put, the Hopper 3 is the best on the market. It can record over 500 hours of HD content and 16 shows at a time. It adds $5 a month to your bill, but when bowl games roll around, you’ll be thanking us. So if you’re the Trojan fan who believes clear, reliable game coverage is worth every penny, DISH is the way to go. Add the Sports Extra package ($5 a month) to get every game. 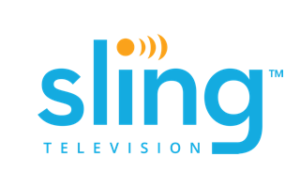 Sling TV is a great way to pick the perfect channel lineup, but keeping track of which channels come in each package can get confusing. But don’t worry, we’re here to help you sort it all out. Try it for free here. Your best chance of viewing the Trojans is by picking up the Blue + Orange package ($40 a month) and then adding their Sports Extra ($5 a month). This combination will get you FOX, PAC-12 Network, and ESPN for Trojan viewing, and many more channels for off-season entertainment—as if that’s even a thing—at $45 a month. Besides football, we love the customizability of Sling TV. If you have kids that have to watch SpongeBob SquarePants everyday, you can add the Kids Extra for only $5 a month. If you must keep up with the Kardashians, you can do that for $5 a month with the Lifestyle Extra. You get the picture. Just make sure to have your calculator out when signing up because all these extras can add up fast. Sling TV’s cloud DVR leaves something to be desired—and that something is value. The DVR costs an additional $5 a month and gives you 50 hours of recording time. But, according to the fine print, you can’t record ESPN or Disney Channel. So, if you splurge for the DVR, don’t plan on taping any big football games or Disney movies. High School Musical, anyone? Sling TV also has fewer local channels than other streaming services. Without local TV channels, it can seem difficult to pick up your favorite NFL games, but luckily that’s where NFL Network and NFL RedZone come in. NFL Network gets you access to the Thursday games, but NFL RedZone is the real star. NFL RedZone promises no commercials and no missed touchdowns. Just remember that you won’t enjoy live coverage on NFL RedZone. In a nutshell, if you’re goal is getting the cheapest way to access Trojan games and your favorite NFL teams, Sling TV is probably the perfect fit. At $39.99 and no extra packages needed, Hulu Live is by far your cheapest option. It’s missing one essential thing, though: PAC-12 Network. You’ll still get all the games that show up on FOX and ESPN, but you might have to search for alternatives to view some less-popular games that end up only on PAC-12 Network. Hulu Live does provide plenty of ways to keep yourself busy during those inaccessible games, though. With more on-demand shows than hours in your lifetime (don’t hold us to that—but trust us, it’s a lot), Hulu’s online library included in your monthly subscription is definitely a win. 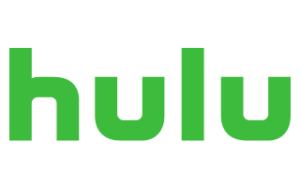 So, if you’re as attached to The Mindy Project as you are to Trojan football, you might want to consider Hulu with Live TV. While the lack of Pac-12 coverage puts Hulu with Live TV in our third slot, it does beat out Sling TV in terms of its free DVR. You get 50 hours of coverage and can stream recorded material on two different devices. Plus, as a Live user, new episodes go straight to your on-demand library after airing, saving you space on your DVR. Hulu Live has great local channel coverage for a streaming service, so if you live near your NFL team, you’re covered. But if you live far away, you’re out of luck. Hulu Live is missing the NFL Network and NFL RedZone, so you’ll have to find another way to watch your professional team win. Try here for help watching your NFL team. If your goal in a TV provider extends beyond just football to great TV in general, Hulu Live is the way to go. This season is already marching on, so get the right service for you now. Don’t miss another touchdown. Fight on! If you have any questions or comments about watching USC Football 2018, leave us a comment below.